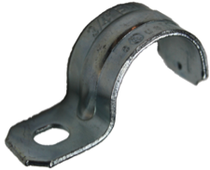 EMT of one hole Straps are used to secure the EMT pipe to a wall or structure. ½”, ¾”, 1”, 1¼”, 1½” & 2”. One hole Rigid & IMC Straps used to attach the pipe to a wall or structure. ½”, ¾”, 1”, 1¼”, 1½”, 2”, 3” & 4”. 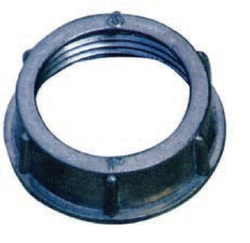 Locknuts are used to secure to a junction box or metal enclosure the IMC, Rigid Conduit, or connectors. 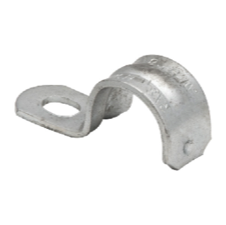 Hangers are used to install rigid, IMC, or EMT conduit to wall or structures. ½”, ¾”, 1”, 1¼”, 1½”, 2”, 2½”, 3” & 4”. 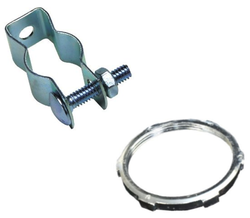 Zinc Die Cast bushings are installed at the end of rigid/IMC conduits or in connectors to prevent the damage on cable during installation.